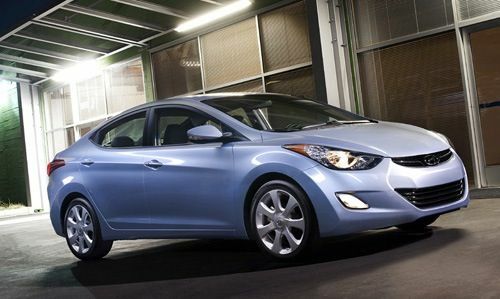 Hyundai has announced that the 2012 Hyundai Elantra has set another all-time sales record for 2012. The popular sedan surpassed last year’s total of 186,361 units earlier this month. And with a week still left in the year, the Elantra sedan could become Hyundai’s second model to break the 200,000 unit mark in annual sales. It’s big brother Sonata has sold over 200,000 units and is also built at Hyundai’s assembly plant in Alabama. Last month, ALG, the industry benchmark for vehicle values and a leading provider of automotive insights, announced the results of its 14th annual Residual Value Awards. The Elantra has been ALG’s compact car residual value leader for three straight years running. ALG gave the South Korean automaker praise this year for their impressive move to the top of the list. Many buyers look to Consumer Reports to research which vehicles they are most interested in, and the consumer website did a study to find out which cars are the most popular. The consumer website listed their top ten most researched cars by buyers, and the 2013 Hyundai Elantra is number four on the list. And it’s the number one researched compact car for 2012. The three ahead of the Elantra are the Subaru Forester, Toyota Highlander and Toyota RAV4 which are all SUV’s. The 2012 Hyundai Elantra and Sonata are proving that the Hyundai brand is growing in consumer popularity and confidence. Hyundai’s ascent to the top of these lists is impressive indeed. Look for the 2013 Hyundai Elantra to continue to challenge the Japanese and compact sedan segment next year.